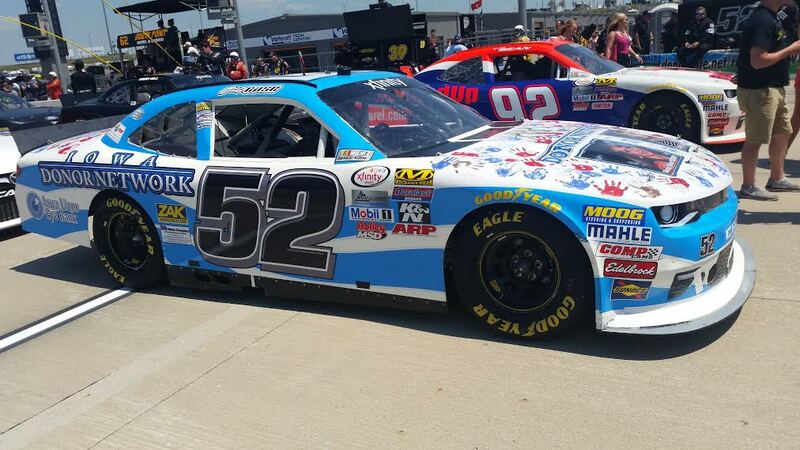 Sam Hornish didn't even have his name above the door of his race car at Iowa Speedway. 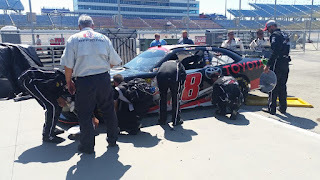 He was a late replacement driver for the #18 Joe Gibbs Xfinity series car filling in for the injured Matt Tifft. 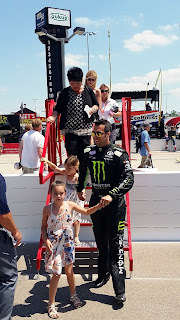 Hornish had the best car all day, he lead 183 laps. He became emotional during the post race talking about how important it was for him to have his entire family (his 3 kids and his wife) enjoy the victory lane celebration with him. 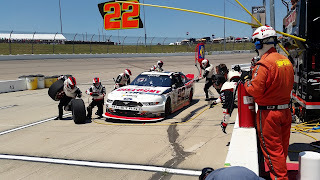 Brad Keselowski (above) was a contender all day long working his way through the field after starting at the back of the field, he finished 3rd. 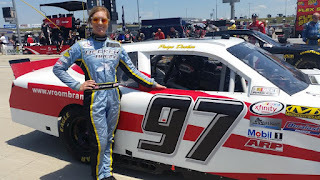 Alex Bowman driving the JR Motorsports #88 finished 5th. 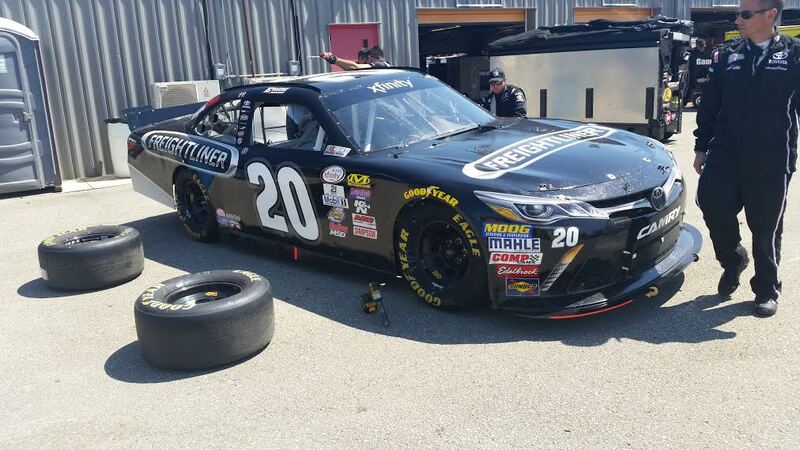 The other Joe Gibbs car #20 Erik Jones was fast but had nothing but mechanical problems. He finished 27th. His pit crew actually switched over and pitted the (winning) #18 car after Jones went multiple laps down. Speed Talk on 1360 is every Saturday 10-11am on KRWC 1360 am or KRWC1360.com or on the free Tunein app, search KRWC. 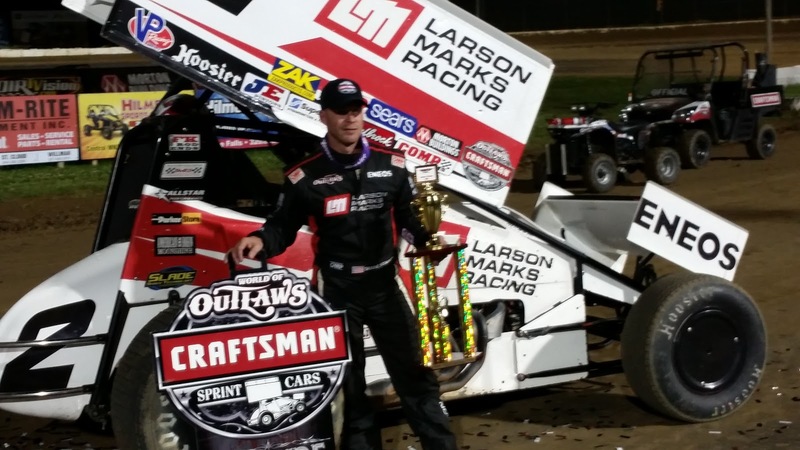 A rainy day at the race track is the worst thing in the world for race fans and promoters but, for the #2 World of Outlaws Craftsman Sprint Car Series team and driver Shane Stewart the rain on Tuesday night postponing the races was a welcome sight after a rough weekend of racing in Iowa. 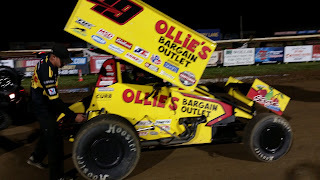 "I tried to empty the trailer in Knoxville," said Stewart "we crashed two nights, wrecked the car, actually was able to salvage a couple decent finishes, but it creates so much work, especially when we are out on the road." That rain day became of work day for the Kyle Larson/Marks racing team and that extra work payed off with a win (his fourth of the season) on Wednesday night at Granite City Speedway. "Our wing guy bent over backwards to get us two new wings and honestly the rain out last night kind of helped us because it gave them an extra day in Knoxville to get that stuff" said Stewart. 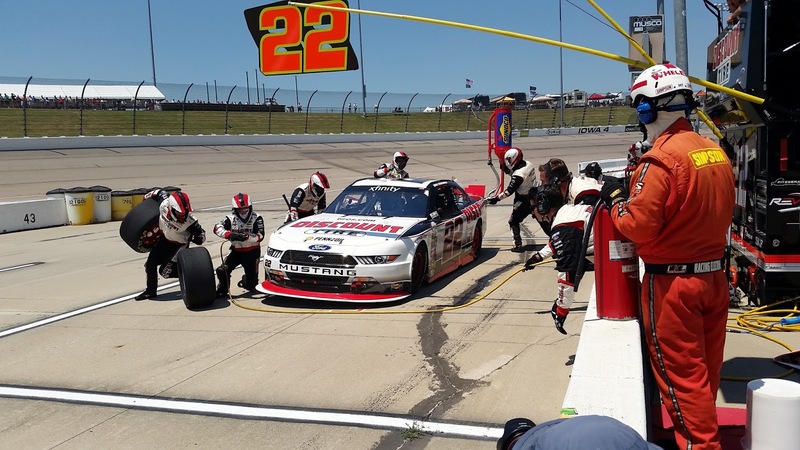 The new parts and pieces did the trick and helped Stewart start on the outside pole and take the lead on lap 11 just before the lone caution period on lap 13. The Red flag was displayed for Greg Wilson who flipped in corner number four. Seven-time Champion and defending winner of this race Donny Schatz, who drives for Tony Stewart, had a rough night all around, he qualified 15th, was involved in that wreck with Wilson and never recovered, he finished 23rd. #49 Brad Sweet who drives for Kasey Kahne battled for the lead with Stewart but came up just short. Sweet made up a lot of points on Schatz as they vie for the points Championship and he was happy with the night. "The track was awesome," said Sweet "I thought it was multi-grooves and lots of good racing and at the end of the day we can't be mad about finishing second." With the Schatz DNF, Sweet now takes the point lead by 1. #29 Kerry Madsen seemed to have the best car coming into the feature event, he won his heat race, won the fast dash and missed the fast time to Joey Saldana by .003 seconds. He started the 30 lap feature on the pole but dropped to third by the finish. 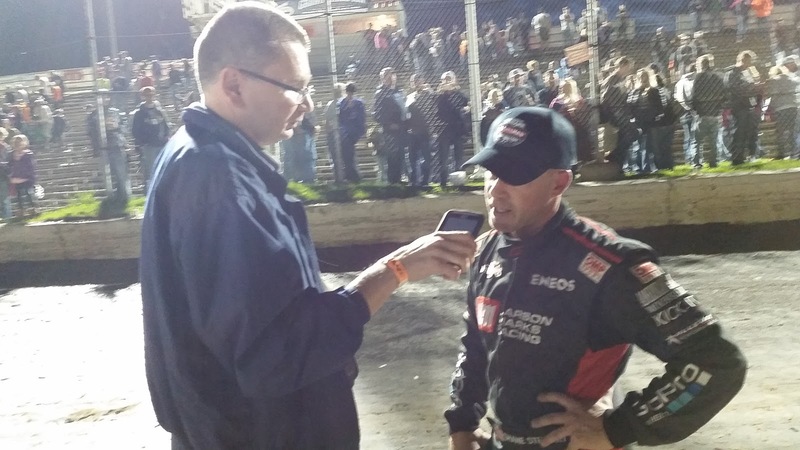 "Shane (Stewart) and the #2 car was way better than us tonight," said Madsen "disappointed not to be in position to get it done at the end and we didn't, but still a great result." Madsen was impressed with the overall event "great crowd here (Granite City) and the track was fantastic" said Madsen. Here are the Results of the World of Outlaws Craftsman Sprint Car Series at Granite City Speedway in Sauk Rapids (MN) presented by Marthaler Chevrolet of Glenwood. "Finally we were able to win here, last year we were close and weren't able to pull it off and this year we were able to," if the Speed Talk on 1360 interview Karma helps Stewart pick up those trophies we might have to talk to him more, "maybe every week" said Stewart. 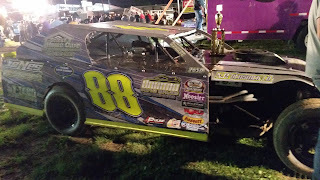 The support division was the Midwest Modifieds and #88 Eric Lamm from Zimmerman was the winner. After the races some luck race fans went home with a free souvenir and actual used Hoosier race tire from some of the racers. 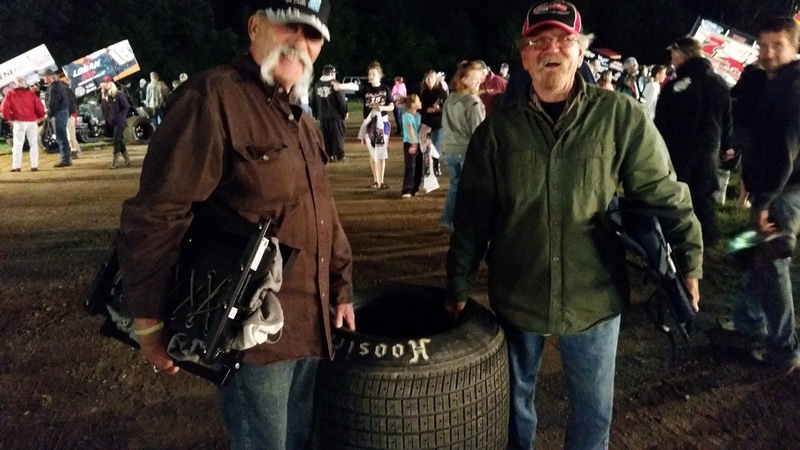 These tires cost $200 each new, and used they are nothing but a conversation piece. 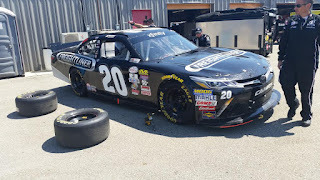 Listen to more coverage of this race on Speed Talk on 1360 radio, Saturday morning 10-11am on KRWC1360.com or search KRWC on the FREE Tunein app for your phone. 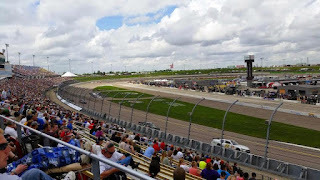 All NASCAR eyes will be on Iowa Speedway this weekend, no it's not the Sprint Cup Series, but it is the next best thing, an Xfinity and Truck Series Double Header on a weekend where Cup is off. Here is your Fan Guide. It all starts with the Camping World Truck Series Spediatrics 200 on Saturday (6/18/16). 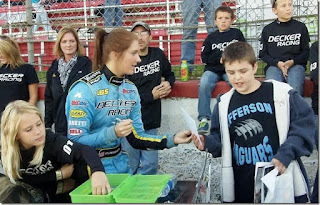 * Autograph session is from 2:00-2:45pm under the turn 4 grandstand. 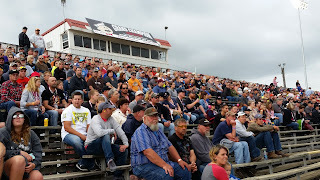 Truck series driver intro's at 7pm, racing begins at 7:30pm. 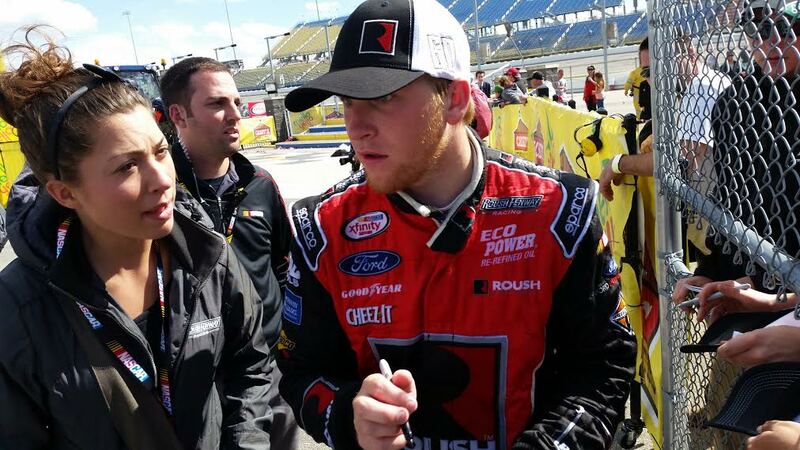 This is only the 8th race of the year in the Truck series. Matt Crafton leads in points by 18 over Timothy Peters and William Byron is third 23 points behind. -Thorsport will enter four trucks even though their shop burned down this week. Matt Crafton, Rico Abreu, Ben Rhoads and Cameron Haley all are entered. -Daniel Suarez is scheduled to race the #51, he scored his first ever Xfinity series win at Michigan last week. 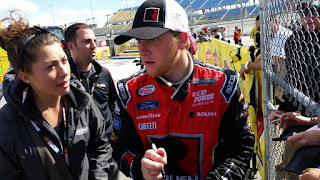 *Xfinity series driver autograph session 10:30am on access road. (fan walk pass needed). 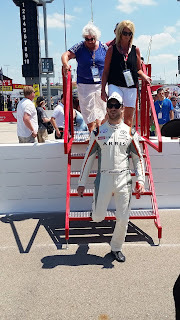 This will be the 14th race of the season, Daniel Suarez just won for the first time last week at Michigan he is the point leader and has an 18 point lead over Elliott Sadler and 36 points over Ty Dillon. 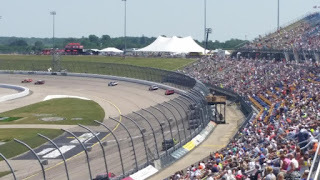 -Brad Keselowski will race the #22- he has won at Iowa Speedway 3 times in the past. 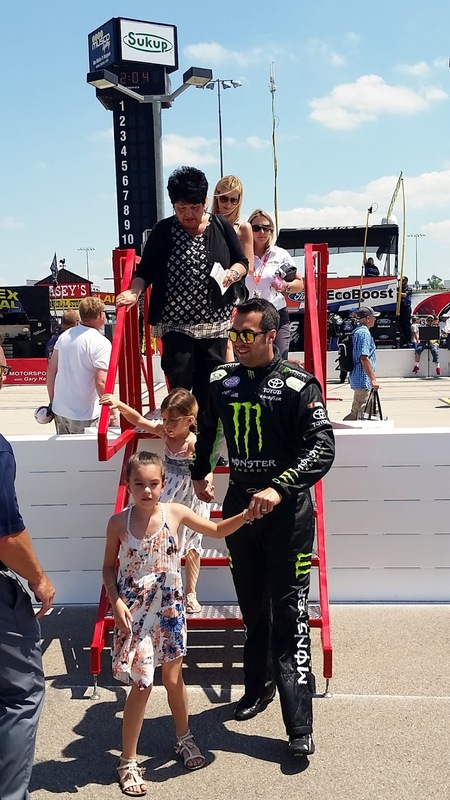 -Sam Hornish Jr will drive the #18 for Joe Gibbs, he is filling in for Matt Tift who is injured. 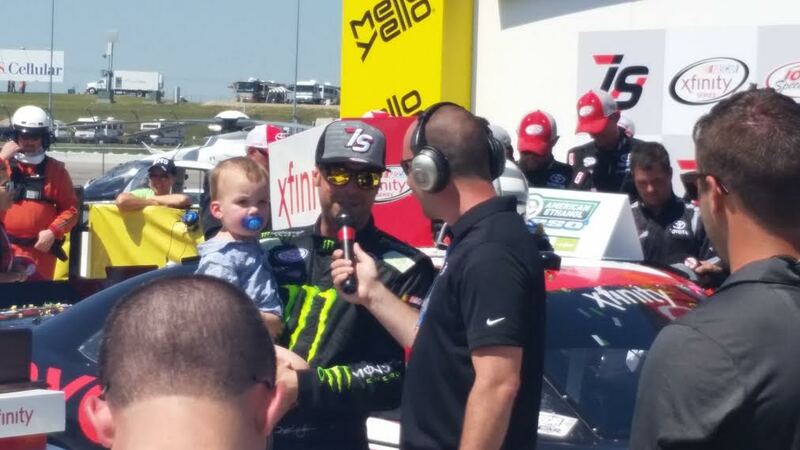 -Drew Herring will drive the #24 car. 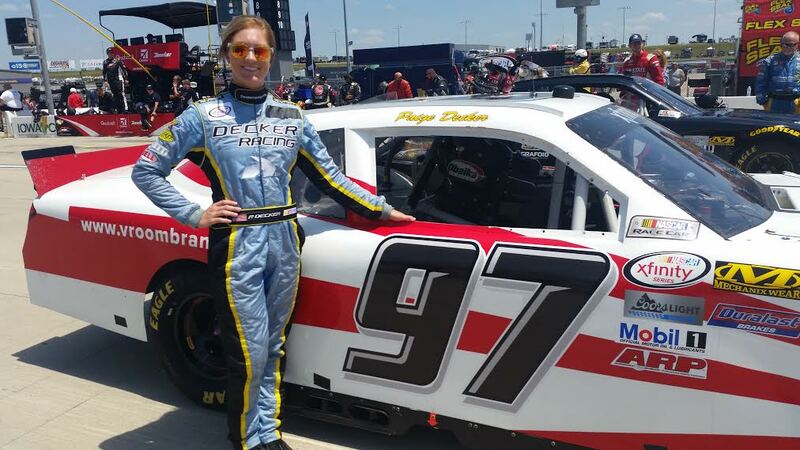 -Two Decker girls from WI will attempt to make the race, Claire Decker will drive the #77 car and Paige Decker (photo below) will drive the #97. These cars are owned by Obaika racing, the first African owned race team to compete in NASCAR. 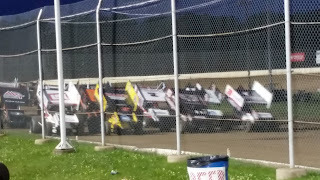 Marthaler Chevrolet of Glenwood presents the World of Outlaws Craftsman Sprint Car Series will be racing at Granite City Speedway (formerly the Golden Spike) in Sauk Rapids (MN) on Tuesday June 14th. The World of Outlaws sprint cars have spent nearly 40 years as the most successful traveling Motorsports series in America, and their next stop is right here in Minnesota. They are in a busy stretch of 11 different tracks in 10 different states during the month of June. 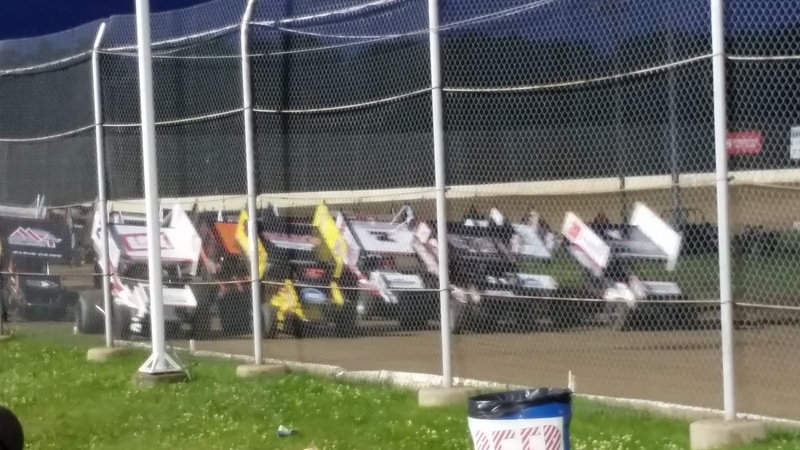 This is the second time the WoO series has visited Granite City Speedway, last year 7 time Champion Donny (the kid) Schatz from Fargo (ND) won with Shane Stewart finishing 2nd. Schatz, who drives for Tony Stewart Motorsports, has 8 wins and is looking good again in 2016, he is currently tied for the point lead with former NASCAR driver Brad Sweet who has 6 wins. Daryn Pittman has 3 wins and is third and 3 time winner Shane Stewart is fourth with Joey Saldana currently in 5th in points, also with 3 wins so far in 2016. Other big names including Sammy Swindell, Bryan Clauson and Kraig Kinser are also in the Top 20 in the point standings. 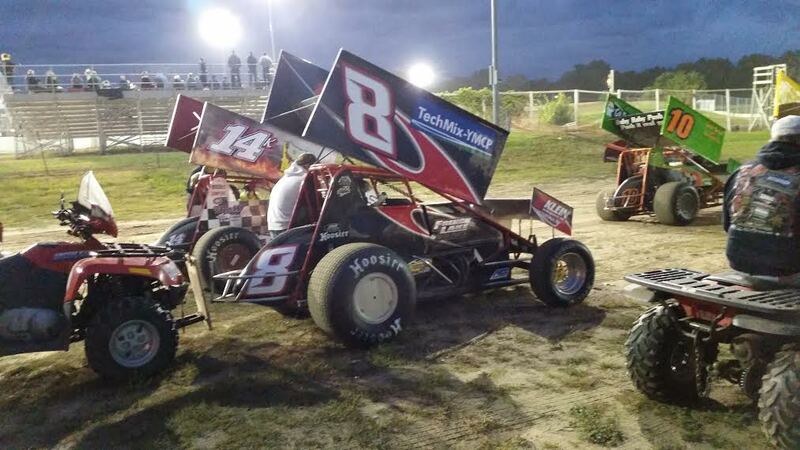 Local drivers will also be included and trying to make the $10,000 to win feature event. The World of Outlaws can put on a good show no matter what the track or the racing conditions, so race fans can attend knowing they will get their money's worth. 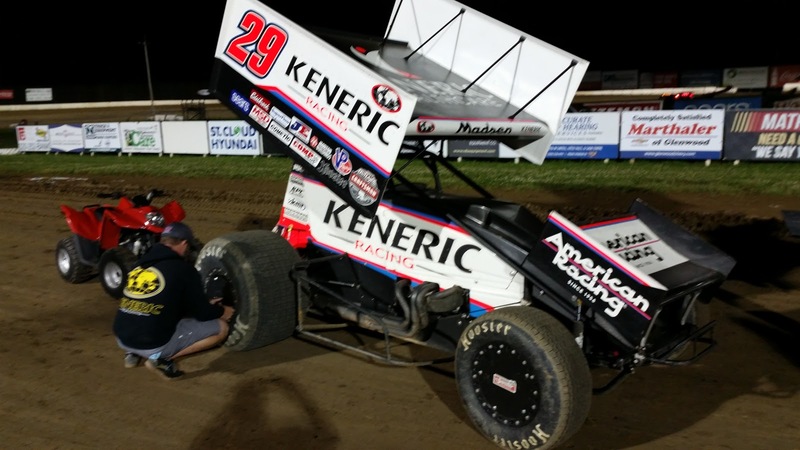 NASCAR stars Tony Stewart, Kyle Larson and Kasey Kahne all own World of Outlaws teams and are passionate about Sprint Car Racing. 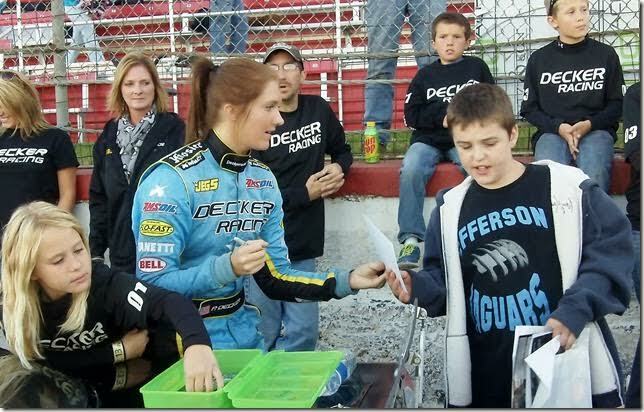 I wouldn't be surprised if one or more of those drivers show up at Granite City on Tuesday night. 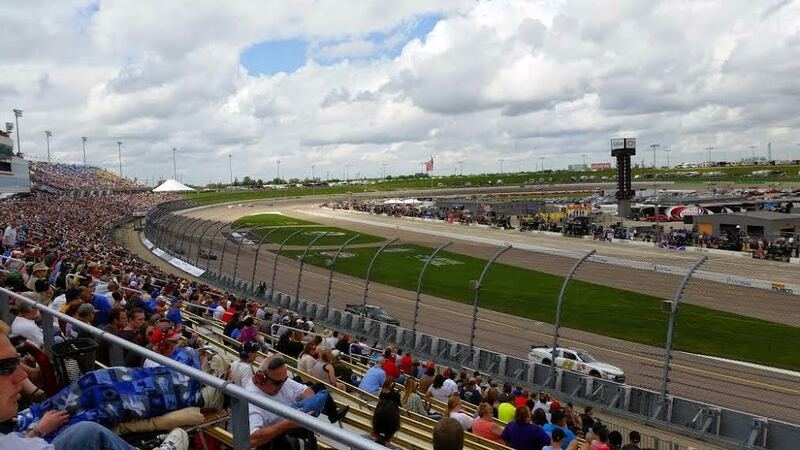 The NASCAR Sprint Car series is on a rare off-weekend with no race on Sunday June 18th. Ticket prices are $39 for a reserved seat or $40 for a pit pass.